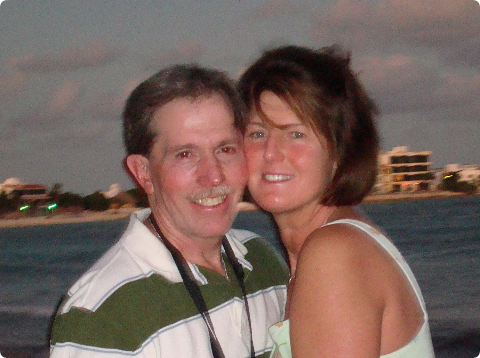 My wife, Karen Martin, began experiencing vision issues in her right eye in July of 2009. Our local Optometrist, Dr. George Ozer, immediately suggested that we meet with Dr. Carol Shields at Wills Eye Hospital in Philadelphia. Dr. Shields subsequently determined that Karen had Ocular Melanoma. She was treated with a radioactive plaque, followed with Avastin injections to kill the cancer. 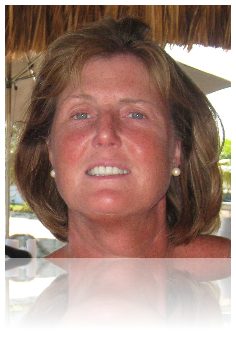 For the next few years, Karen had no additional symptoms. In October of 2012, following a bout with pneumonia and a series of tests, scans and a biopsy, Karen was diagnosed with metastatic ocular melanoma in her liver. Her local oncologist, Dr. Christina Clay quickly referred her to Dr. Takami Sato, of Jefferson University Hospital in Philadelphia. Dr. Sato along with interventional radiologist, Dr. David Eschelman, treated the cancer in Karen’s liver with chemoembolization from October of 2012 through January of 2014. The treatments seemed very effective. They typically required an overnight stay at Jefferson and with a release the following day. Karen was able to lead a normal life continuing to work as a Speech and Language Teacher in the Southeast Delco School District, working with a class of autistic and language impaired students. By mid-January of 2014 it was determined that chemoembolization was no longer an option. As an alternative option, Karen was scheduled at the end of February to begin a clinical trial. Her liver function however was becoming increasingly problematic, and the clinical trial was cancelled. She passed away on March 27, 2014 surrounded by family. Karen graduated from Archbishop Prendergast High School in Drexel Hill, Pennsylvania in 1982 and Iona College, New Rochelle, New York in 1986. Karen, whose maiden name is Cunningham, has four siblings and she grew up in Sharon Hill, Pennsylvania. Karen loved the beach and spending time with her nieces and nephews. For most of her last five years, Karen led a normal life, experiencing little pain or change in her daily activities. Throughout the entire process, Karen kept positive and never complained or asked why she was chosen. 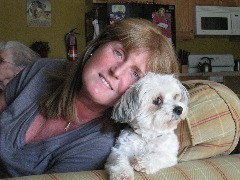 Karen was loving, caring, and a special person in my life. She touched so many lives and will always be remembered as someone who was there for others before herself. Our memories will carry us forward. I will miss her always. Ocular Melanoma is a rare disease. Therefore funding for research to find a cure is very limited at this time. Contributions in Karen’s honor can be sent to the Ocular Melanoma Foundation.